Marshall Chambers is a Lead Advisor with Heritage. As a Lead Advisor, he is responsible for the coordination of investment management, financial planning, and tax services for clients and oversees a client service team. He works directly with the Chief Investment Officer on managing client portfolios, monitoring asset allocations and research. Marshall serves on the Investment Policy Committee. 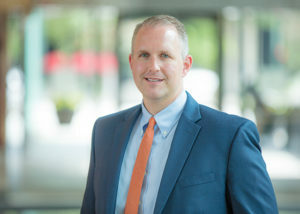 Prior to joining Heritage, he was a Compliance Associate with SunTrust Bank, Corporate Trust in Richmond, Virginia, for seven years. Marshall serves on the board of directors for the Visual Arts Center of Richmond and is a member of the Richmond Association of Business Economics. Marshall earned his Bachelor of Science degree in Economics and Business from Randolph Macon College. Marshall is a CFA® charterholder and a member of the CFA Society of Virginia.